Home › 1.Writing › Fantastic tale, Emi Kane. Chapter 5, the mistake. She looked fear in the eyes of Emi Kane and decided to act. – Princess Lou Xiap, I’m your best friend, the Princess Moe Bara. Then she came out of the bush. The princess looked at the form approaching and smiled suddenly. – Princess Moe? The soldiers saluted. – I’m so glad to know you in the library Amaterasu, Lou said, throwing herself into his arms. – I thought you were at the castle of the Shogunate. – And here I thought you were at the market cabinet’s crystal. – I wanted to go and I changed course. – Me too, because there are rumors about some event that took place in this library. Emi Kane huffed and thanked God for this providential appearance. She looked at Princess Bara. Her long black hair discovered a fresh face, comely. Her dress with silver foliage became her perfectly. However, something bothered her in this sudden apparition. There was like a mistake. 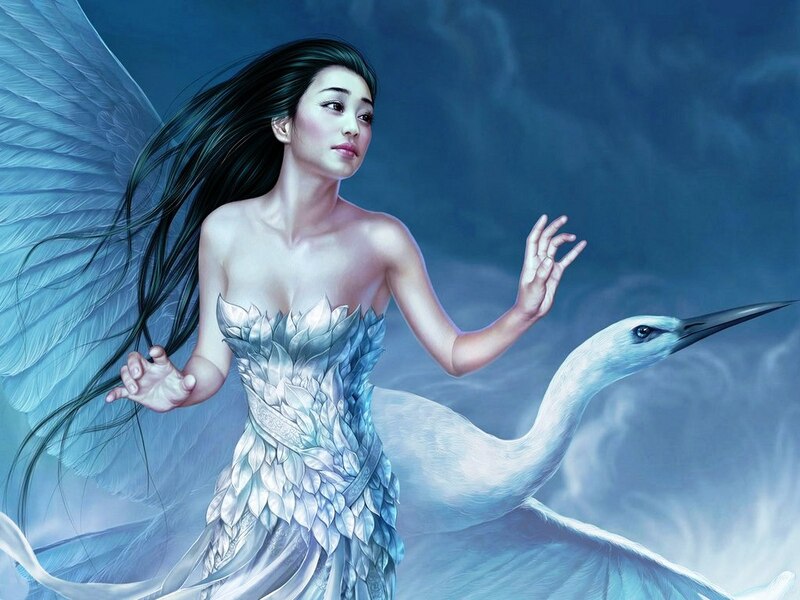 – What beautiful birds go with you, said the princess, observing birds unfold in the lake. – I see a beautiful woman badly banged up leg. – Me too! Emi said watching the bloody red punch. ‹ Wonderful Team Member Readership Award! Hi Francina. Thank you to visit this place. I appreciate. Spend a pleasant day. Well deserved 🙂 All the best for you, your writing and your blog!